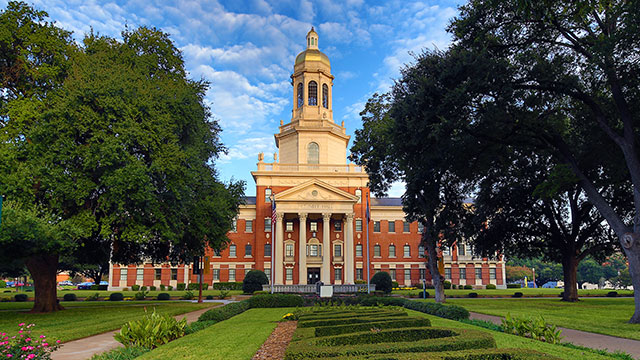 WACO, Texas (May 26, 2016) – In Fall 2015, Baylor University's Board of Regents engaged outside counsel Pepper Hamilton, LLP (Pepper) to conduct an independent and external review of Baylor's institutional response to Title IX and related compliance issues through the lens of specific cases. The University's student conduct processes were wholly inadequate to consistently provide a prompt and equitable response under Title IX; Baylor failed to consistently support complainants through the provision of interim measures; and in some cases, the University failed to take action to identify and eliminate a potential hostile environment, prevent its recurrence or address its effects. Actions by University administrators directly discouraged some complainants from reporting or participating in student conduct processes and in one instance constituted retaliation against a complainant for reporting sexual assault. In addition to broader University failings, Pepper found specific failings within both the football program and Athletics department leadership, including a failure to identify and respond to a pattern of sexual violence by a football player and to a report of dating violence. There are significant concerns about the tone and culture within Baylor's football program as it relates to accountability for all forms of student athlete misconduct. Over the course of their review, Pepper investigated the University's response to reports of a sexual assault involving multiple football players. The football program and Athletics department leadership failed to take appropriate action in response to these reports. Pepper's review was detailed, thorough and rigorous. Pepper had unfettered access to Baylor faculty, staff and administration. Pepper also spoke with students who have been impacted by interpersonal violence. Pepper Hamilton examined more than a million pieces of information – from correspondence to interviews to reports. The experiences of students impacted by interpersonal violence played a significant role in the investigation into the University's response. While those experiences informed the findings, the details of individual cases are protected by Federal law and will not be referenced in any document made public by the University. Following Pepper's comprehensive briefing, the Board charted a course of action that it believes is in the best interest of students and the long-term wellbeing of the University. The Pepper findings revealed a lack of strong institutional management and control on a number of levels. The Board's actions reflect a focus on the points at which the most significant levels of accountability and obligation should have been exercised. The following personnel changes are effective immediately. Ken Starr will no longer serve in the role of President of Baylor University effective May 31. David Garland, former dean and professor at Baylor's George W. Truett Theological Seminary, will serve as Interim President of Baylor University while the University initiates a search for its next President. Garland previously served as Baylor's interim President from August 2008 to May 2010. Starr remains the Louise L. Morrison Chair of Constitutional Law in Baylor's Law School and has agreed in principle to serve as Chancellor on terms that are still being discussed. Effective immediately, Head Football Coach Art Briles has been suspended indefinitely with intent to terminate according to contractual procedures. Ian McCaw has been sanctioned and placed on probation. McCaw will work with University leadership and the Board of Regents to implement the recommendations as they relate to the restoration of a tone of accountability within the football program, to effective oversight and controls of the Athletics department, and to critically needed changes that will re-align the Athletics program with the University mission. Additional members of the Administration and Athletics program have also been dismissed. Neither these individuals nor the disciplinary actions will be identified publicly. Greg Jones, as Executive Vice President and Provost, serves as second in command and will continue to have responsibility for the academic enterprise and fulfillment of the University's Christian mission. The roles of members of several University departments will be clarified and staff will be engaged in continuing and robust training before the start of the Fall 2016 semester. The overall business operations of the University, including Athletics, will be executed primarily through Dr. Reagan Ramsower, Senior Vice President and Chief Operating Officer. The Board of Regents has created the full-time position of Chief Compliance Officer that will report directly to the Office of the President. In addition to personnel changes, it is imperative the University leverages the investigation's findings to institute improvements to better strengthen its ability to prevent, investigate and respond to acts of interpersonal violence and care for those who are affected by these acts. The University has retained the services of Rick Evrard, of Bond, Schoenech & King, PLLC, and has made contact with the NCAA to initially discuss potential infractions and to offer full cooperation with any resulting investigation. Remedial and Restorative Remedies: Baylor will review all cases of interpersonal violence over the past three academic years, to offer remedies, identify any current need for investigation, or isolate any broad pattern or cultural implications. Consistent with Title IX, Baylor will contact victims and offer specific remedies to the individuals identified in Pepper's review. Title IX: The work of the Title IX office, established in November 2014, provides prevention training, engages student advocates and supports those who experience interpersonal violence. Improvements call for clarifying roles and responsibilities within the office, better utilizing case management tools to coordinate care and support, and providing leadership to coordinate information across University functions. In addition, standardized protocols will be established to balance individual requests for anonymity with broader campus safety obligations. Other recommendations include committing sufficient infrastructure and resources to the Title IX office and support from senior leadership to ensure appropriate and informed administrative oversight. Athletics: A wide range of changes will be implemented in Baylor's Athletics policies and procedures. The overall operations of the Athletics department will be integrated into the mainstream operations of the University. Significant attention will be given to ensuring policies are consistent across all students and student-athletes alike with consistent protocols that eliminate any appearance of preferential treatment. The University will create and maintain a culture of high moral standards among student-athletes and leadership to ensure Baylor Athletics places paramount importance on student welfare and abides by Title IX reporting obligations. The University will review policies and protocols regarding transfers and recruits as well as opportunities for Athletics personnel to integrate across non-athletics programs within the University. Engagement & Education: The role of training, education and engagement of the entire Baylor community is vital to the successful transformation of our campus culture. A renewed emphasis on our faith commitment will permeate the work we do in this area over the coming months and years. Annual training will be required for all students, faculty, employees and contractors, with additional trauma-informed training for implementers, investigators and adjudicators. Additional focus will be given to establishing expectations for student organizations and interest groups as well as greater community engagement within campus residence halls. Additionally, the University will evaluate the climate on campus and undertake a more concerted effort to openly discuss prevention of and response to interpersonal violence. Centralized Reporting and Resolution: A centralized hub of student conduct information will provide a level of “early warning” for those students who are at risk or who may place others at risk. The University will ensure the accountability of employees by making clear the violation of reporting obligations could be cause for discharge. Additionally, processes will be put in place to ensure all instances of interpersonal violence, regardless of where they originate, will be evaluated under the Title IX office. Public Safety: Baylor has placed a priority on improving its professional public safety office with the hiring of new leadership and additional experienced officers. Continued training, the establishment of community partnerships and stronger collaboration among area law enforcement will be a focus of improvement. Improvements will also focus on establishing clear protocols for supporting the needs of individuals who have experienced interpersonal violence and establishing partnerships with advocacy organizations. The University will also revisit its protocol for sharing information between Waco Police Department and Baylor University Police Department. Counseling and Advocacy: With more than $5 million allocated to improvements and staffing in the Baylor Counseling Center in the coming year, efforts are already underway to improve services, support, and access to this vital resource. Additional work will be done to enhance after-hours access and emergency crisis availability and coordination with Title IX staff. The University will establish dedicated victim-advocacy services for students who need help navigating recovery and continued pursuit of their education after an incident of assault. An Executive-Level Task Force on Implementation, established by the Baylor Board of Regents, will act promptly to address Pepper's recommendations in the areas outlined above, Remedial and Restorative Remedies, Title IX, Athletics, Engagement and Education, Centralized Reporting and Resolution, Public Safety, and Counseling and Advocacy, as well as other areas across the University. The Task Force, which is led by Dr. Ramsower, includes implementation groups comprised of members of Baylor's faculty, staff and administration who share responsibility for identified areas and the holistic well-being of students in our campus community. Within the coming weeks, the Task Force will identify areas where improvements are already underway, areas for immediate implementation and areas for more thorough consideration. The Task Force and implementation groups will assess best practices across other universities, implement more complex recommendations by Pepper Hamilton and continue to move Baylor forward along a path of improvement. Periodic announcements will chronicle the work of the Task Force and implementation groups as they make improvements. The Findings of Fact, developed by the Board with guidance from Pepper, is available on the University website. Within the Findings of Fact, readers will find detailed assessments of system failures and comprehensive list of recommendations. These recommendations provide a roadmap for next steps and are based on industry best practices and Pepper's extensive experience helping universities nationwide establish systems to safeguard students, faculty and staff from sexual violence and take steps to ensure robust response and procedures. Over the course of the investigation, a special committee of the Board of Regents was periodically updated on Pepper's work. Additionally, in early May, Pepper presented their findings of fact and recommendations to Board leadership in Philadelphia and was onsite to brief the full Board during its May meeting in Waco. While no written report has been prepared, the Findings of Fact reflect the thorough briefings provided by Pepper and fully communicates the need for immediate action to remedy past harms, to provide accountability for University administrators and to make significant changes that can no longer wait.